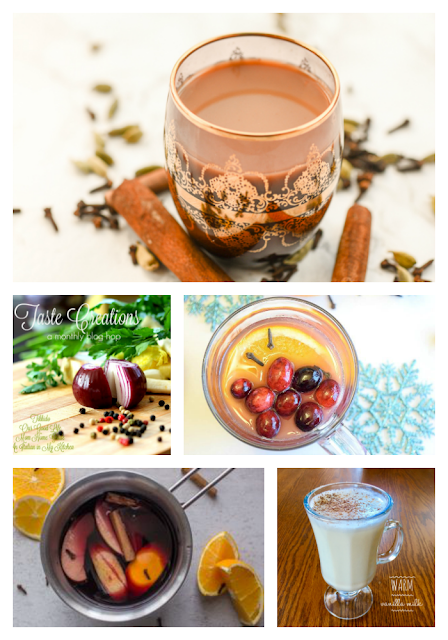 This month our group of bloggers that form Taste Creations focused on warm drinks for your sipping pleasure during the chilly months that are still to come. These beverages are easy to make and definitely easy to drink! This Warm Vanilla is the complete opposite of Hot Chocolate in every way. This drink is mellow, not too rich and can be very low sugar and low fat, depending on how you want to make it! My grandmother used to make this for us when we were little and spent the night at her house. I don't remember her calling it Warm Vanilla, though. I think we called it Hot Milk. It brings back memories of sitting on her lap and sipping this in one of her fancy English teacups. Warm the milk in the microwave for 90 seconds. Test for the desired heat. If you need it hotter, microwave in 30 second allotments. Stir in sugar and vanilla. Sprinkle with fresh nutmeg. Enjoy! You will return to this simple drink over and over. The sweetness and the not-too-rich drink is so comforting. Come back and thank me later. Let's talk about the nutmeg a little bit. Throw away your preground nutmeg you have in your pantry and go buy yourself some whole nutmeg. The marble sized balls are the seeds of an evergreen tree. All you need is a microplane and the nutmeg seed. Rub the seed over the microplane and you will inhale the most delectable fragrance and never will use pregrated nutmeg again. It is a sin against nature to do so. You can come back and thank me later for this one, too. 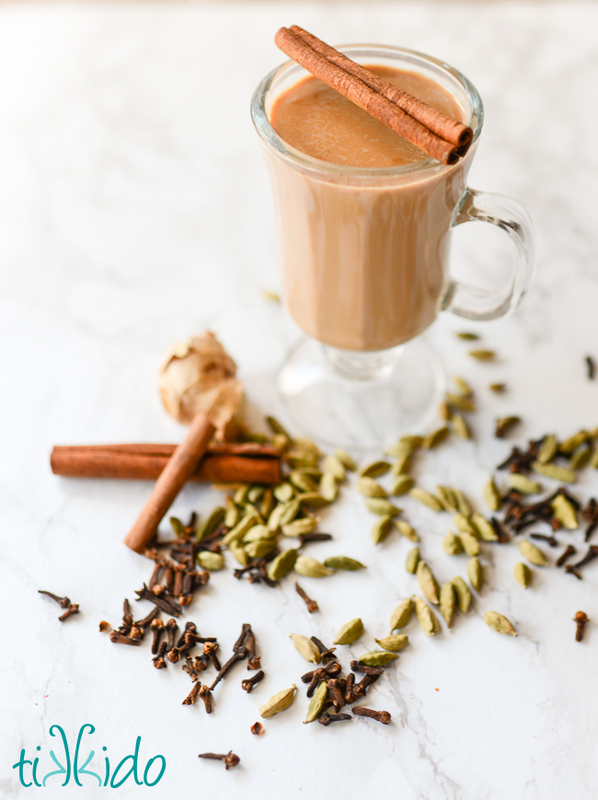 Enjoy these other warm drinks for this winter. This sounds amazing! I love hot chocolate, but sometimes I'm just more in the mood for vanilla. I can't wait to try your recipe! Your recipe looks delicious! Thanks for sharing your recipe and your sweet memory! Happy New Year! Sounds delicious Terri, Italians always grind their own nutmeg! Happy New Year. I have never thought of warming vanilla milk. But now that I have read this post. I can't wait to try it. This sounds delicious and simple for times when I don't want something chocolatey. My daughters would enjoy it. Mmm I'm defiantly intrigued! I've never even heard of vanilla sugar. I'm going to have to make this for my kids next weekend. Meanwhile, I'm hopping over to your mulled wine recipe for myself! Thanks! This sounds like my ideal drink. Very recently I've stopped drinking caffinated coffee but I loved Vanilla coffees. So I think would kick the craving! oh my I remember my mom making this too! So good and delish! Thanks for bringing back this memory, so wonderful. That looks wonderful! I have never heard of it before, but I would certainly love to try it. I've never had warm milk but have heard a lot about warm milk. This looks great, thanks! Wow this looks delicious! I would love to try this after my cleanse! It looks so good and perfect for these cold days! OH I love warm milk, it helps relaxes me! I want to try these. I've sort of gotten tired drinking coffee in the afternoon. This sounds delicious! I've never been a milk drinker, but I bet the vanilla helps take the flavor out. I've never heard of warm vanilla but it sounds incredible. I love hot chocolate but it is very rich and this would be a great alternative - plus I bet my littles would love this! Amazing recipes! I pinned this pist! Punch and tikkido are so delicious. I will definitely cook them sometime soon! That looks so tasty! 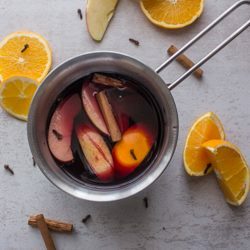 And that mulled wine is definitely up my alley. I drank it a TON when I was in Paris. Haha! I have definitely had my fair share of warm milk to try and help myself sleep. This looks delicious! I love this idea. So much better for kids on their way to bed. That looks so decadent. 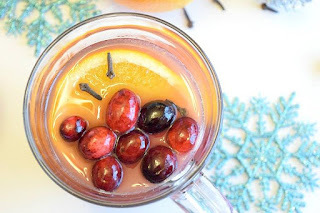 I love the recipe, it's definitely one of the things that you want to drink during the winter! It's so nice to have recipes that remind you of your childhood, it will really take you back in time. I have never heard of putting vanilla in milk but I am going to try it immediately. My boys would love this too. My 11 year old loves to be in the kitchen. Warm milk is so tasty. When we get sick we add honey and butter to warm milk. My mom says it is supposed to help sore throats. Defiantly trying these out. Thanks for sharing love. Oh wow this looks delicious! My kids get a vanilla steamer from the coffee shop we go to on grocery shopping days. I would love to make it at home like this! Wow! I need to try ever single drink on this list! I love vanilla. These are all great alternatives to the usual hot chocolate. Oooo now this sounds all sorts of deliciousness!!!!! I'm all about all things vanilla!!! One of my favorite flavors! This sounds delicious and my kids love warm milk, with the added vanilla this sounds yummy! What a lovely memory! This looks like the perfect pre-sleep drink! Vanilla flavor is my favorite flavor. I only ever eat vanilla ice cream or vanilla yogurts. So this is going into my recipe file. I am not a big fan of milk but this sounds like it would be yummy nonetheless! This sounds so yummy! I actually made vanilla milk for my girls yesterday. Thanks for sharing! Sometimes I can find hot chocolate too stodgy so this sounds divine! I would love some warm vanilla milk! I occasionally prepare warm milk in just this way with two percent milk (used to be whole milk until I became wiser). I generally prefer hot chocolate though.